SAIN 2018 will be hosted at Ark Hotel Shinsaibashi (アークホテル大阪心斎橋), which is located in the Shinsaibashi (心斎橋) district, one of the most popular place for shopping, dining and entertainment in Osaka, Japan. The hotel is immediately outside Exit 4 of the Nagahoribashi (長堀橋) Subway Station. It is also accessible by 10-minutes walk from the Shinsaibashi (心斎橋) Subway Station via CRYSTA Nagahori (an underground shopping street connecting the Nagahoribashi and Shinsaibashi Stations). Step 1. At the Kansai International Airport (Terminal 1), take the Nankai Railway (南海電鉄) AIRPORT LINE (Airport Express 空港急行). (Note: If your airline uses Terminal 2, you need to take the free shuttle bus to Terminal 1). Step 2. Alight at TENGACHAYA (天下茶屋) Station. Step 3. 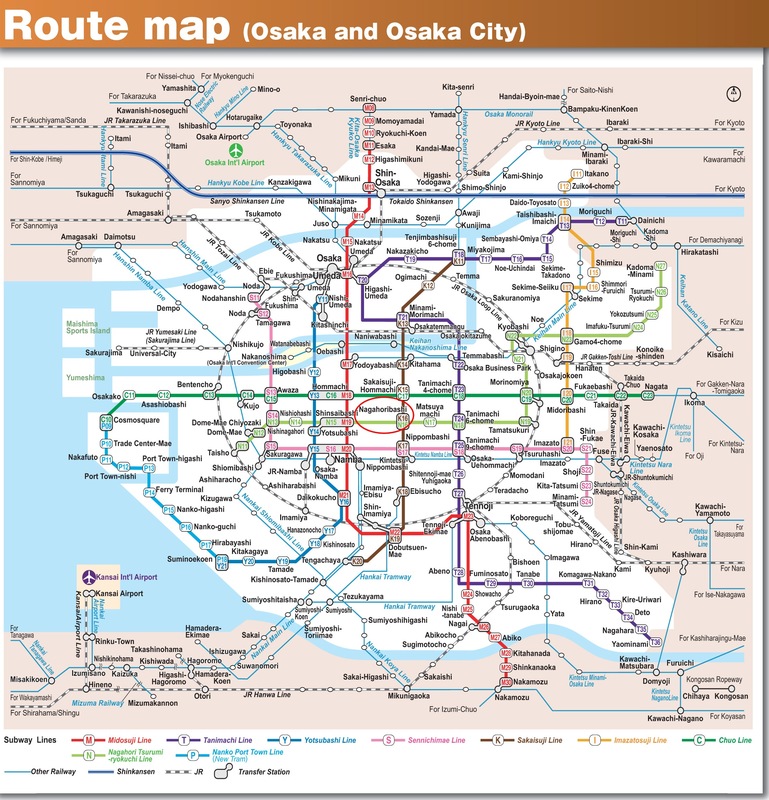 Change to Subway Station and take the SAKAISUJI Line (堺筋線). Step 4. Alight at NAGAHORIBASHI (長堀橋) Subway Station. Ark Hotel (conference venue) is immediately outside Exit 4 (left hand side). 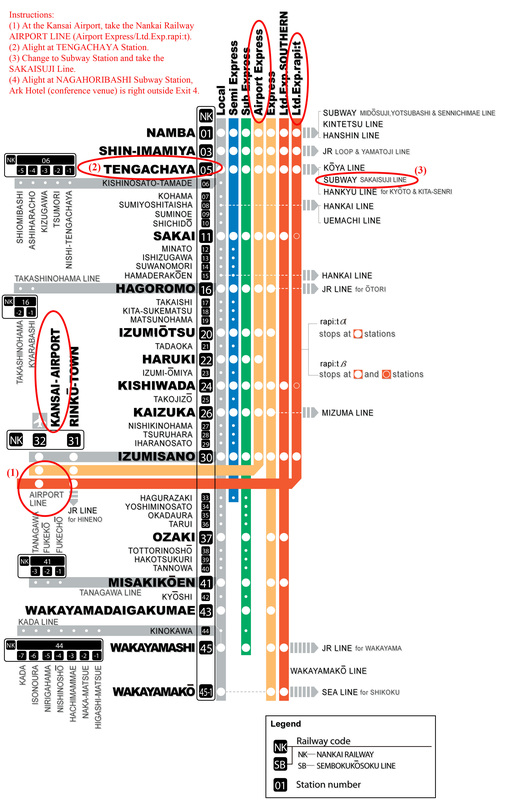 Take the subway train along SAKAISUJI Line (堺筋線) or NAGAHORI TSURUMI-RYOKUCHI Line (長堀鶴見緑地線). Alight at NAGAHORIBASHI (長堀橋) Subway Station. Ark Hotel (conference venue) is immediately outside Exit 4 (left hand side). 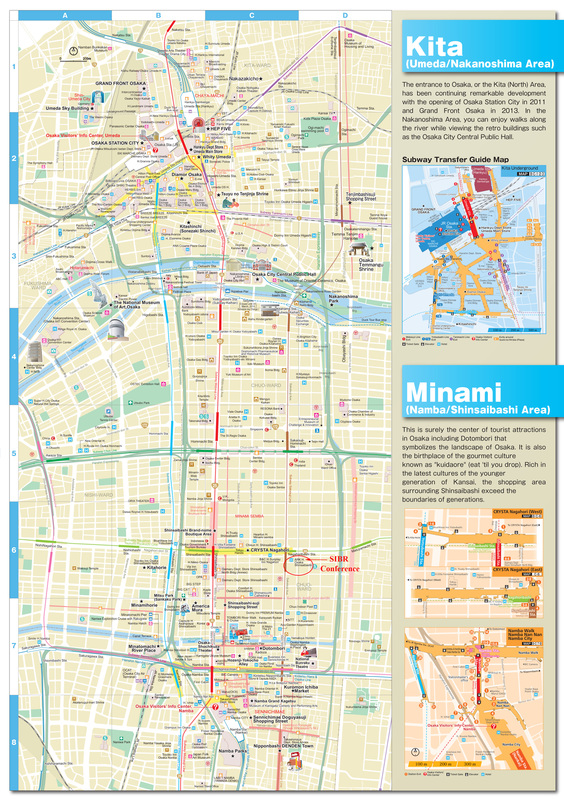 1-10-3, Higashishinsaibashi, Chuo-ku, Osaka (〒542-0083 大阪府大阪市中央区東心斎橋1丁目10番3号). 2-4-10 Minamisenba, Chuo-ku, Osaka-shi, Osaka (〒542-0081 大阪府大阪市中央区南船場2-4-10). 2-12-22 Minami Semba Chuo-Ku, Osaka (〒542-0081 大阪市中央区南船場2-12-22). 3-5-24 Minami Senba Chuo-ku, Osaka, 542-0081 (〒542-0081, 大阪市中央区南船場3-5-24).